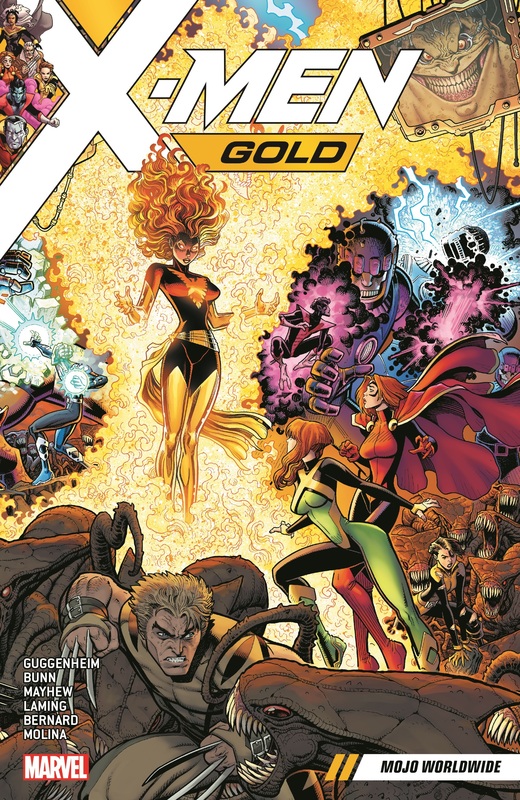 Collects X-Men: Blue #13-15, X-Men: Gold #13-15. Blue and Gold, together at last! 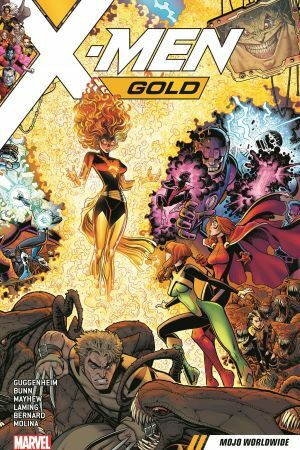 Mojo, the demented creature obsessed with melding deadly TV shows with reality, has made Earth his focus — and it will take the combined might of two teams of X-Men to fight back! But when threats from their past are thrown at them, including Sentinels and the Brood, how will the squads react? Flooded by bad memories, can Kitty and Jean lead their X-Men to save Manhattan? 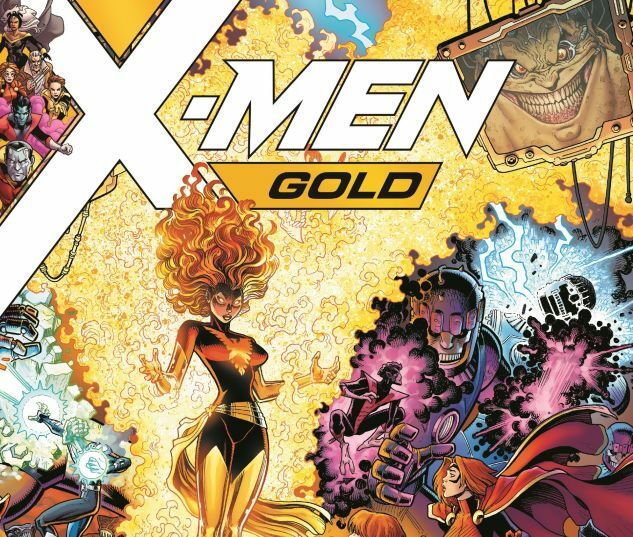 Or will tricks like, oh, say, the Dark Phoenix be exactly what Mojo needs to finally deliver the ratings hit he’s longed for? The mighty mutants will have to take the fight to Mojoworld itself if they have any hope of stopping the absurd Mojo-fication of Midtown Manhattan!